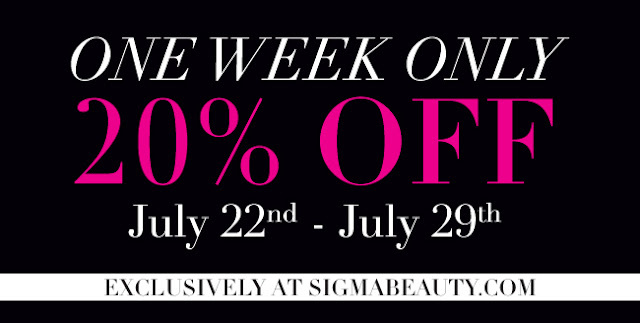 YAAAAAAY I am happy to announce a one-week only sale on the Sigma website for the week of July 22. This promotion is available to The Vanity© 's followers so that you can buy all the products I have previously mentioned from Sigma on The Vanity© . For more information on this exciting promotion, please keep reading!